The Republic of Chile is currently one of the most thriving and stable countries in South America. Aside from having the fifth-largest economy in the region, it also boasts the strongest bilateral or trade agreements with other powerhouse countries including the United States, European Union, China and Mexico. Despite the destructive earthquake in 2010 and the economic downturn in 2010, Chile proved to the rest of the world that it is a nation whose resilience won’t be shook by any type of adversity. It is the spearhead that leads Latin American nations in terms of income per capita, globalisation, economic freedom and human development. This country’s economic stability is also strengthened by its people's hard work and the government's ability to keep them employed. An expat who decides to settle permanently Chile and desires to live life to the fullest in this first world nation would be best off finding a job. Finding a job in Chile is not difficult. Because of the country's diverse means of livelihood, an expat can choose his field of interest, whether it be in copper mining, engineering, wineries, or working in a tourist resort. One of the most common job opportunities for expats in Chile is in the field of teaching, for which one can even charge on an hourly basis -about $10-$20. 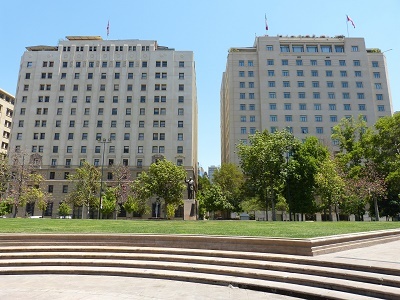 Most expats in this country work in Santiago, the nation’s centre for commerce and finance. Here, employment in the fields of electronics and Information Technology are also abundant considering that several large multinational companies such as Microsoft, IBM, HP, Intel and Yahoo are based in this city. Agriculture is also one of the foundations of Chile’s strong economy and is accounted for nearly 5% of the nation’s Gross domestic Product. Expats who have experience in farming, fishing, logging and forestry also have high employment chances in this country. Chilean laws allow its people to freely form unions with or without government approval. Labour laws were improved in 2001 to regulate dismissals, increase severance pays in unfair dismissal cases, and even to define and prohibit discrimination in the workplace. Unlike other Latin American countries, Chile has a more relaxed work schedule which a maximum of 45 hours per week or between 9 am and 6 pm from Mondays to Fridays with one to two hours break for lunch. The Chileans enjoy their jobs and work at a leisurely pace. One may not always be as productive and efficient as you would like but you won't find anyone working on weekends, as this is family time. They are also well learned in business, well educated and well versed in various technologies. Chilean businessmen may also tend to be formal, requiring their employees to wear business attire (skirts or trousers for women and suit and tie for men). Diplomacy also plays a significant role in the Chilean workplace. Directness is not something you'd want to practice with co-workers, instead discreet constructive criticism is more appreciated. Business meetings start with a professional greeting which is a firm handshake but as the professional relationship progresses, expats will find out that personal greetings and even interactions such as small talk or kiss on the cheek become acceptable. The Chileans also have the tendency to speak to someone while standing quite close and keeping your distance during a conversation is a sign of rudeness or disrespect.